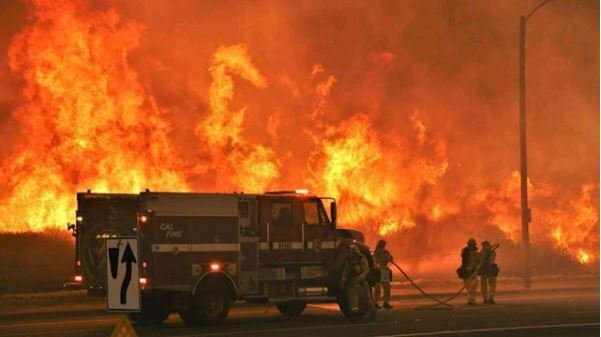 Fires continue to burn in Northern California’s Wine Country today with two of the largest fires burning in Sonoma and Napa counties. The Tubbs fire grew to 28,000 acres and is still 0% contained. As of last night, the Atlas fire was 26,000 acres and at 3% containment. Hundreds of structures have already been destroyed and more than 180 people are missing. Sadly, 17 deaths have been blamed on these wildfires. After a day of light winds, fire weather returns today. 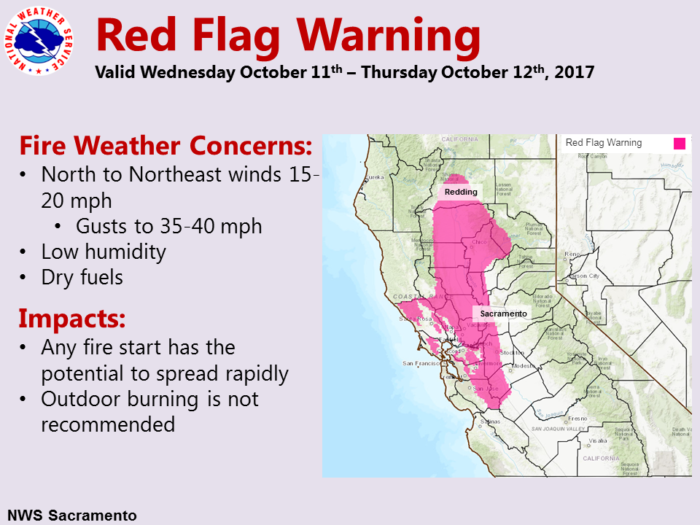 The National Weather Service office in Sacramento, CA has issued Red Flag warnings in the region. Winds are expected to be sustained around 15-20 mph with gusts as high as 40 mph. This will prove difficult in the effort to contain fires. *Header image courtesy Cal Fire.